All cameras with this logo come with AHD (Analog High Resolution) video output besides traditional CVBS. These cameras, in protective aluminum casing, are the best choice when the application require a small size, waterproof camera. RE-BCC4-- models, with minilens, come also with waterproof seals providing IP65 protection level (see the IP table in the tutorial on housing) and can be used outdoor. AHD technology is the latest development in the analog CCTV industry and is supported by many models in this range. Launched in May 2014 by Nextchip, worldwide leader in DSP for CCTV cameras, AHD technology brings analog cameras up to FULL HD 1080P (1920x1080) video resolution. Before AHD, megapixel resolution was only possible using IP or HD-SDI digital cameras. Connected to latest generation AHD DVR, these cameras provide megapixel resolution, with no latency, still being low cost and easy to install as standard analogue cameras. Like any analog cameras, AHD cameras can be wired by normal coaxial or twisted pair cables up to several hundreds meters. Besides AHD, there are other high definition analog standards available on the market. 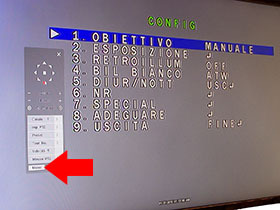 The most popular are TVI and CVI. In order to provide the maximum compatibility with all DVR, many of our analog cameras are able to support different standards. So called, 4 in 1 cameras, support all high definition formats: AHD, CVI, TVI as well as traditional CVBS video. These cameras are virtually compatible to every DVR you may have. Unlike most other vendors, we use original 4 in 1 and 2 in 1 chip from Nextchip instead of low cost Chinese imitations that provides much lower video quality. 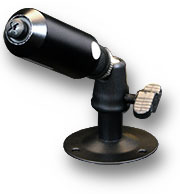 All cameras in this range are able to produce a composite video output (CVBS) suitable to any DVR or monitor. 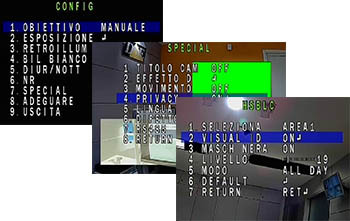 AHD cameras provide 1000 TVL when used in CVBS mode. These cameras are available in 2 versions: with mini-lens and pin-hole lens. Both lenses come have 3.6 focal length providing 70° wide angle view. 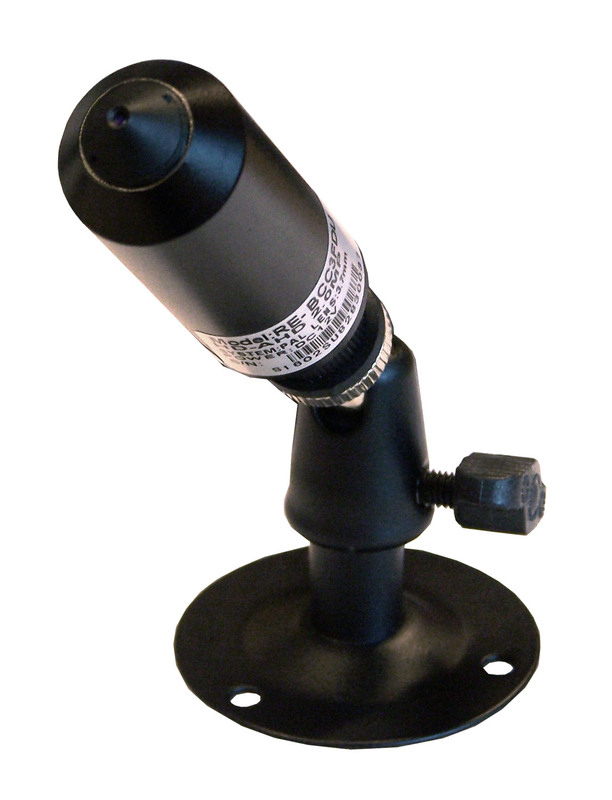 Minilens cameras (RE-BCC4--) are waterproof, suitable for outdoor mounting, pin-holes cameras (RE-BCC3--) must be installed indoor and are suitable for hidden cameras. These cameras do not have a microphone. If you need to pick up audio, you can connect an external microphone. 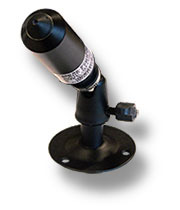 All cameras come with a swivel mounting bracket than can be used for installing the camera by screws. 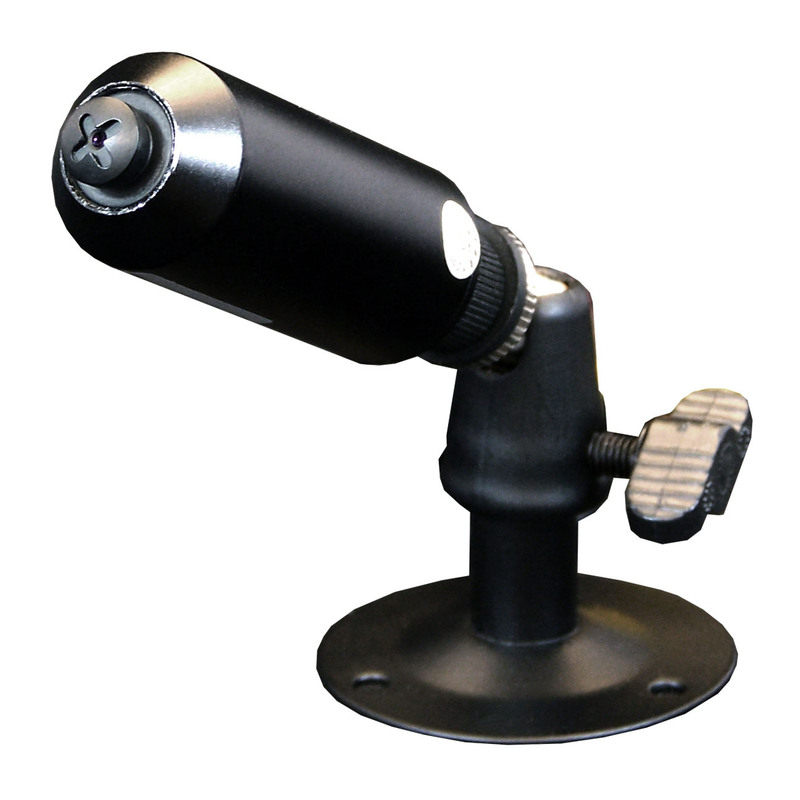 The video processing of all cameras in this range is controlled by a DSP microprocessor. All cameras come with On-Screen-Display (OSD) which allow the user to set several camera options. Setting the OSD options, the camera can be configured to perfectly suit any environmental conditions. VIDEO ADJUSTMENT - Lens type, electronic shutter, AWB, AGC, brightness, contrast etc. can be adjusted according to the environment. PRIVACY MASKS - Up to 4 masking areas can be set in order to mask surveillance spots and protect people's privacy. MIRROR - Image can be reversed in case of backward or up side down views. In order to allow the user to modify the OSD options conveniently, all our OSD cameras include a UTC chip which permits to control the OSD from the other end of the video cable. All our DN range DVR include the UTC function and allow to set the camera OSD sitting conveniently in front of the monitor. Like all analog cameras, these cameras can be connected by wires to any video-recorder for analog CVBS, AHD, CVI and TVI video. A 40 cm. cable with DC Plug and BNC female video connector, comes out from the back side of the camera. A 220VAC/12VDC power adaptor can be connected to the DC plug to power up the camera. Min 1000mA, fully regulated, power adaptor is required. Should you prefer to provide the power from a central point you can order a power supply unit in metal casing. Video signal must be hard-wired to TV/Monitor/DVR using RG59 or RG179 coaxial cable (see cables). Coaxial cable must be terminated with BNC connectors. Alternatively, the video signal can also be wired using a twisted pair installing on both ends two balun converters. These cameras support AHD/CVI/TVI high resolution analog video. 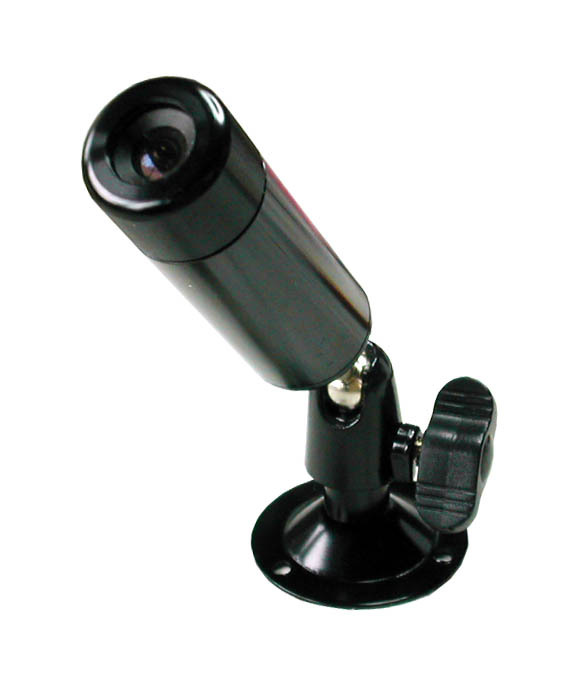 These high resolution video format require suitable AHD/CVI/TVI DVR. 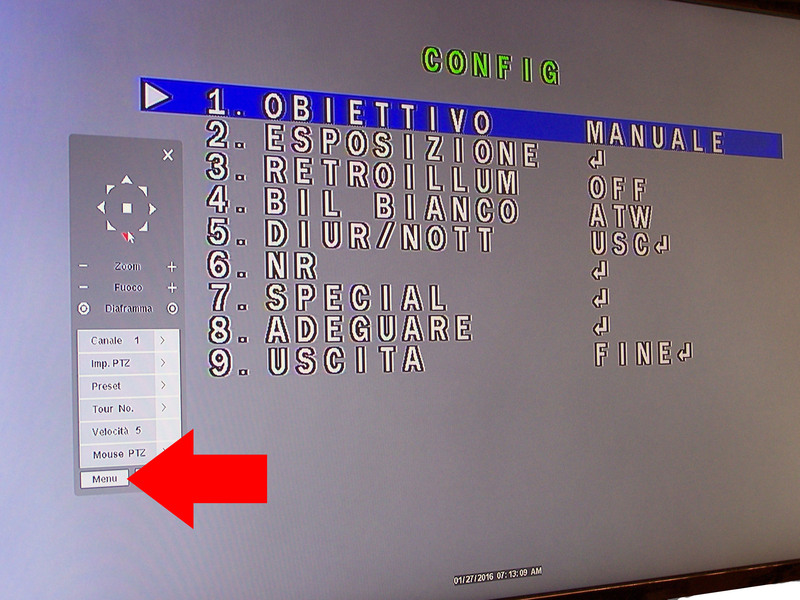 All our AHD cameras can be switched to CVBS (standard analog video) if required. For further information, have a look at the DSE tutorials which include several useful lessons about how to wire a CCTV system. PLEASE NOTE: These cameras are supplied without power adaptor, which should be purchased separately.